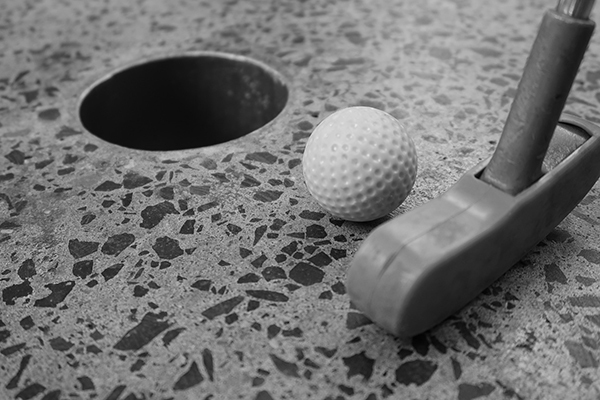 On February 16th, 2019, come play mini golf in the stacks at the North Plainfield Memorial Library! The Friends of the North Plainfield Memorial Library will be taking over the library after hours to convert it into a 9-hole mini golf course, complete with loops, bridges, and other obstacles. The library will reopen exclusively for this event from 6 to 10 p.m. Refreshments will be available. All money raised at this event will go towards supporting the library and its programs. The cost to play is $10/adult, $5/child, and $25/group of four. To reserve a specific time slot in advance, please see the sign-up link available on our Facebook page, @FriendsOfNorthPlainfieldLibrary. Drop-ins are welcome on the day of the event, based on availability. The Friends of the North Plainfield Memorial Library is a 501(c)(3) organization dedicated to supporting the library and its programs. In the past, they have sponsored a writing and performing workshop for middle school children, assisted with the FIRST Lego League Jr. Expo, and held an annual block party to help kick off the summer reading program.